Undated, about 1918 - 1919 Asbury Park Beach, NJ Susan Maria (Keating) Kuck. "This picture was taken 4 years ago at Asbury Park Beach". Signed Susan Keating. 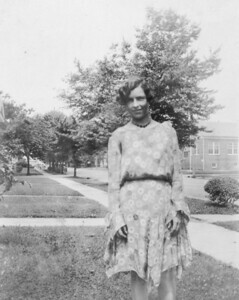 Susan Maria was born in 1909, she looks to be about 9 or 10 here. Undated 523 8th Avenue, Belmar, NJ Susan Maria (Keating) Kuck. December 31, 1927 Susan Maria (Keating) Kuck. 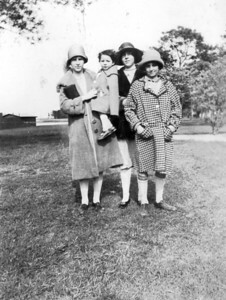 Undated, about 1928 LEFT TO RIGHT - Anna Regina (Keating) Morris, Veronica (Keating) Golaszewski, Susan Marie (Keating) Kuck and unknown. Probably June 15, 1930 523 8th Avenue, Belmar, NJ Susan Maria (Keating) Kuck, James Raphael Keating and Anna Regina (Keating) Morris. 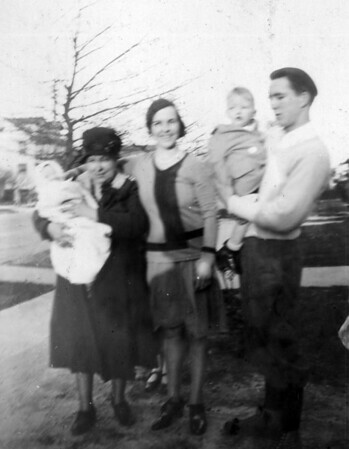 Spring, 1931 523 8th Avenue, Belmar, NJ Susan Veronica (Lukens) Keating holding Joe Kuck, Susan Maria (Keating) Kuck, Lawrence A. Keating holding Marty Kuck. Joey Kuck was born January 27, 1931. Given his size, no leaves on trees, Susan wearing coat - looks to be about April of 1931. 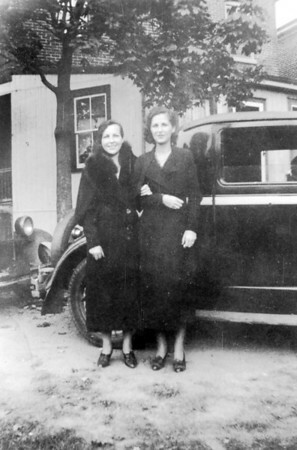 October 23, 1934 (photo development date) Susan Maria (Keating) Kuck and Anna Regina (Keating) Morris. 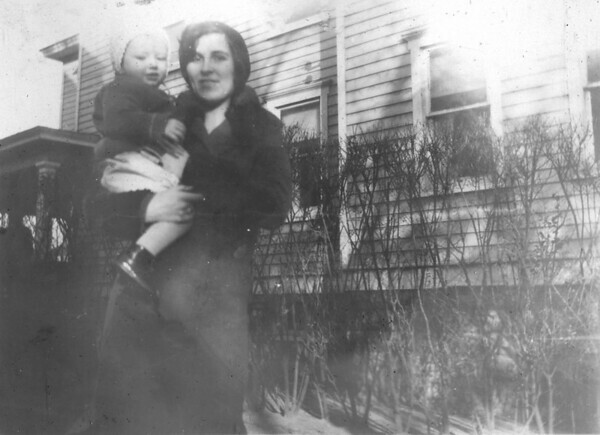 Undated 523 8th Avenue, Belmar, NJ Susan Maria (Keating) Kuck with son, Martin Kuck. 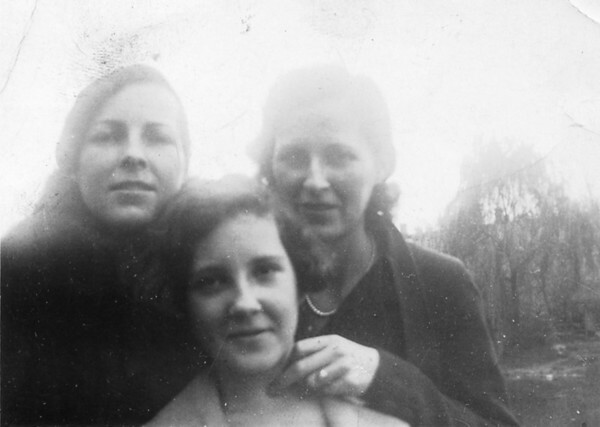 October 23, 1934 (photo development date) Susan Maria (Keating) Kuck, Anna Regina (Keating) Morris and Veronica Alice (Keating) Golaszewski. 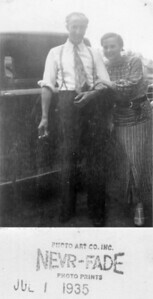 July 4, 1935 Martin Kuck and Mary Alice (Keating) Kuck. 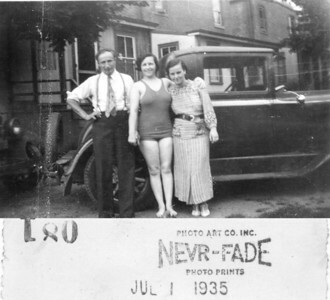 Taken at a 4th of July gathering with Martin Kuck, wife Susan Marie (Keating) Kuck, Henry Kuck and wife Mary Alice (Keating) Kuck. 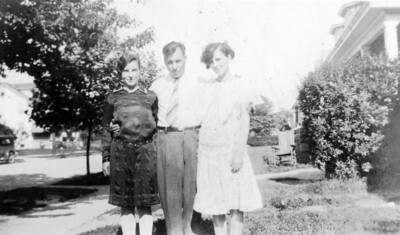 July 4, 1935 Martin Kuck, Susan Maria (Keating) Kuck, Mary (Keating) Kuck. Taken at a 4th of July gathering with Martin Kuck, wife Susan Marie (Keating) Kuck, Henry Kuck and wife Mary Alice (Keating) Kuck. Susan Maria (Keating) Kuck, James Raphael Keating and Anna Regina (Keating) Morris.